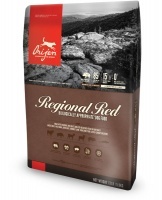 Orijen dog food is produced in Alberta Canada by Champion Petfoods, a family-owned and operated dog food producer with a 25 year tradition of quality. Their mission is simple: to produce Biologically Appropriate Pet Foods from fresh regional ingredients. Orijen is a prime example of these high standards. 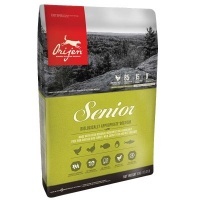 Orijen recognise that dogs' requirements vary and produce a range of foods to suit every need, from Orijen Puppy and Large Breed Puppy for puppies and junior dogs, to Adult, 6 Fish and Regional Red for adult dogs, to Orijen Senior for mature dogs.